We’d love your help. Let us know what’s wrong with this preview of The Threshold by Anita Kovacevic. To ask other readers questions about The Threshold, please sign up. A short book with a big punch. Anita Kovacevic very cleverly draws the reader into the story about a deserted, mysterious house and the people who may decide to enter. Will greed, curiosity or the chance of fame tempt anyone inside? And if so, will they come out alive and win the prize? For me, the real entertainment in this book was the moral dilemma faced by the characters and how they decided to deal with it. Thought-provoking and surprising until the end ‘The Threshold’ is an excellent read w A short book with a big punch. For me, the real entertainment in this book was the moral dilemma faced by the characters and how they decided to deal with it. Thought-provoking and surprising until the end ‘The Threshold’ is an excellent read with an obvious moral lesson, for adults. The Threshold takes us on a journey that shows just what can happen when we choose ‘self-importance’ over ‘existence.’ Clinging to the material riches he has acquired with his wealth, Josephus Clarence Tibedeaux decides to build himself a spectacular mansion that surpasses all others, isolating himself from the rest of the world. Ah, but life has a way of mirroring back to us our imperfect selves and our base ambitions. As Tibedeaux begins to discover the error of his ways, he tries to warn others, but he has already crossed the Threshold. For him, it’s too late. For many years after Tibedeaux’s death, an urban legend takes hold and a mysterious diary surfaces to warn others of Tibedeaux’s plight. Will Ken Scott, the real estate mogul who is about to destroy the old mansion and build something even more extravagant, listen to the warnings in the diary or will he cross the Threshold like Tibedeaux did and leave his existence behind? Self-importance or existence? We can choose one, but we can never have both together. The story begins many years ago with an elderly lady Mrs Poole taking her dog for a walk, wearing a brand new hat especially to show it off to the obnoxious Gertrude Bennet who had deemed to call her old hat "a dirty straw mess on a silly old head". First however, she must pass the creepy house at the end of her street. She is stopped in her tracks as a piece of paper floats down from one of the windows. 'It seemed to have been enchanted the way it was dancing and floating, it resembled a giant feather.' Curiosity gets the better of her and after reading it she faints in the middle of the street. We move on to learn about the original owner of the mansion, starting with the story of an ungrateful little boy who despises his poor working class parents, taking every penny they can scrape together. Eventually working his way up in the world, no matter who he has to tread on to get ahead and then having a beautiful mansion built. This sadly at the expense of cutting down a majestic oak tree. Time moves swiftly on bringing us to modern day times, the era of Urban Legends and Reality TV. It is in this time that we meet the down to earth Mike Simmons, a young man who loves his parents and unlike the boy of many moons ago has a great many friends. He is my favourite character of the story, a student of architecture and a big book lover. Now when a TV station decides to make a reality program about the creepy mansion Mike is intrigued and applies to take part, not for the money but to discover the rich architecture and the story behind the Urban Legend. This story had me turning the pages and being only 108 pages long it was soon devoured. This was Book 02 of my 2017 reading challenge and the January Challenge from The Bookshop Cafe group to read a book by an author other than UK or USA. Anita Kovacevic is from Croatia. Truly original and gripping from the first page. I wish I'd waited till the next day to start this, I couldn't really afford the late night! I defy anyone to stop reading, 'The Threshold' once they start. The mysteriously tantalising opening chapter introduces the legend of 'The House' and captivates the reader from that point on. The main character in the first part, Josephus Clarence Thibedeaux III, is elegantly created in a style reminiscent of Charles Dickens, 'and proceeded to hide his fals Truly original and gripping from the first page. I wish I'd waited till the next day to start this, I couldn't really afford the late night! I defy anyone to stop reading, 'The Threshold' once they start. The main character in the first part, Josephus Clarence Thibedeaux III, is elegantly created in a style reminiscent of Charles Dickens, 'and proceeded to hide his falsehood and ego under smooth eloquence, well-mannered posture and gentlemanly elegance.' He is responsible for both the legend of the house and the building of the house. Years later, and a host of fascinating individuals take on the legend. This book reminded me of an old horror movie that started out in black and white as it moved through the backstory and then morphed into exploding colors as it came to more recent times. The author has done a marvelous job creating believable, fully fleshed characters with human frailties. I liked very much the way the story kept me involved and how I almost felt I was participating in the story by the time I reached the contest. I would recommend this novel to anyone who likes to read, whether it be thrillers, light horror or just stories about people and their downfalls. Written in an old-time style with little or no dialogue, this story, nevertheless, grabs the imagination and keeps one in suspense until the end. Good vs. Evil and magic are the subject of fairy tales and of cautionary tales, and, reminiscent of Edgar Allen Poe's "Telltale Heart," the story will leave you thinking about how the universe punishes and rewards. The story could be the beginning of a detective mystery series delving into an investigation of what happened. The minutely-described side c Written in an old-time style with little or no dialogue, this story, nevertheless, grabs the imagination and keeps one in suspense until the end. Good vs. Evil and magic are the subject of fairy tales and of cautionary tales, and, reminiscent of Edgar Allen Poe's "Telltale Heart," the story will leave you thinking about how the universe punishes and rewards. This riveting story started with Mrs Poole and her new beautiful flowery bonnet and the story surrounding her old hat. I have never read anything like this before but I have come across people like Josephus Clarence Thibedeaux, such an irritating individual but there is a lesson to learn from his behaviour. I was fascinated by the whole story especially the chosen five, brave enough to enter the Threshold. Anita Kovacevic delivered her message clearly, a lot of us can benefit from her message an This riveting story started with Mrs Poole and her new beautiful flowery bonnet and the story surrounding her old hat. I have never read anything like this before but I have come across people like Josephus Clarence Thibedeaux, such an irritating individual but there is a lesson to learn from his behaviour. I was fascinated by the whole story especially the chosen five, brave enough to enter the Threshold. Anita Kovacevic delivered her message clearly, a lot of us can benefit from her message and make this world a better place…. WoW! I read your book in one sitting because I didn't want to stop! I wanted to know more about what was happening in that house of intrigue. I really like how you wove the past, the present and the future around your main theme. A very interesting and well written story. Anita Kovocevic is an excellent storyteller. This is a refreshing tale, a modern-day parable, more novella than novel as it comes in at approx 65 pages [approx. because it is only available as an e-book]. In the Foreword, Kovacevic explains her inspiration for the story: one word read in one of her favourite stories, one word which was seemingly unimportant, but which inspired this story. Threshold. From page one, the tone is unusual. It’s almost as if you are being told a bedtime story. An elderly lady takes her dog for a walk, past the gr This is a refreshing tale, a modern-day parable, more novella than novel as it comes in at approx 65 pages [approx. because it is only available as an e-book]. In the Foreword, Kovacevic explains her inspiration for the story: one word read in one of her favourite stories, one word which was seemingly unimportant, but which inspired this story. Threshold. Beautiful concept by Anita, where she has effortlessly woven a tale filled with intrigue yet manages to send across a great message. 'Threshold' as the author describes in her foreword is about change; a change that is always consistent with our decision on how we choose to react to that change. Fast paced, well narrated and tightly woven prose, this tale will engulf the reader right from the go. Whether its the main protagonist, Thibedeaux III or the character Mr. Scott whose pride, ego and over Beautiful concept by Anita, where she has effortlessly woven a tale filled with intrigue yet manages to send across a great message. I like narratives that make the reader ponder and question even as the last page is turned, and the threshold makes you do just that - makes you look hard into the mirror and look into your soul. "The Threshold" is centered around a magnificent mansion and how it's opulence and extravagance led to its capricious allure. For decades the mansion remained, but it became more and more shrouded by evil. From inception to demolition the mansion burdened the people closest to it with their inner demons. After years of delapidation and neglect the mansion still drew a morbid couriosity. Eventually it caught the eye of a millionaire who had big plans for it. The creator of "Urban Ledgen" millionai "The Threshold" is centered around a magnificent mansion and how it's opulence and extravagance led to its capricious allure. For decades the mansion remained, but it became more and more shrouded by evil. From inception to demolition the mansion burdened the people closest to it with their inner demons. After years of delapidation and neglect the mansion still drew a morbid couriosity. Eventually it caught the eye of a millionaire who had big plans for it. The creator of "Urban Ledgen" millionaire Ken Scott decided to use the mansion as the location for his reality tv show. Preparations are made contestants chosen and nobody could have guessed what happens next! A tantalizing dip into the supernatural. The writing is well-done crisp, the characters intriguing, and the storyline enticing. I couldn’t help but get lost in this story. It begins with an older woman on her way to a park, and a luxurious, mysterious mansion along the way, seemingly empty – until a note flutters to the ground. It details the last will and testament of the man who once owned it, the hint of the great treasure within, and a challenge to anyone who dare cross the threshold. The hou A tantalizing dip into the supernatural. A book with a soul! When I was a young girl, I had to pass a large old mansion (haunted, I was told) on my way to school every day. I always ran past it, scared to death the ghosts inside would see me through the trees and come after me. As I read “The Threshold,” by Anita Kovacevic, that feeling of fear of the unknown came back, tantalizing me with what could be lurking in the dark mysterious mansion. The author used her amazing imagination to create a thought-provoking horror story about greed A book with a soul! 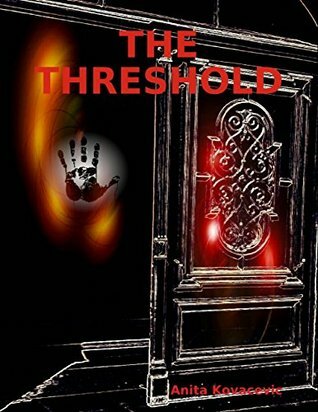 As I read “The Threshold,” by Anita Kovacevic, that feeling of fear of the unknown came back, tantalizing me with what could be lurking in the dark mysterious mansion. The author used her amazing imagination to create a thought-provoking horror story about greed and opportunity, leading to escalating tension and mystery that had me glued to the book until the surprising and satisfying ending. The Threshold starts with the last will and testament floating into the street from a house thought to be long abandoned. It is the owner’s last day and he has no one to leave his house to. His note states that the first person to spend a night in the house and leave it again will inherit. And it mentions treasure. This is a well told tale about knowing who you really are and what people will do to get what they think they deserve. I couldn’t put it down, desperate to know what happened next or The Threshold starts with the last will and testament floating into the street from a house thought to be long abandoned. It is the owner’s last day and he has no one to leave his house to. His note states that the first person to spend a night in the house and leave it again will inherit. And it mentions treasure. This is a well told tale about knowing who you really are and what people will do to get what they think they deserve. I couldn’t put it down, desperate to know what happened next or to learn more of what had come before. The story moved effortlessly back and forth in time and I felt I knew each character intimately. I’m not usually a paranormal reader but I’m pleased I stepped outside my usual reading patterns for this one. A great read. This is an interesting story with a strong message. When I first started reading it, it felt something like a fable in the manner in which it's told. I'll admit, I wasn't sure it was my 'cup of tea', but I found I really struggled to put it down. I can't say I'm particularly enthralled with any of the characters and yet, I'm tempted to read the story again. Trust me, there aren't many I read twice. I believe it's the combination of the writing style, the content, and the tension that really makes This is an interesting story with a strong message. I believe it's the combination of the writing style, the content, and the tension that really makes this story interesting. I love that it starts in the past and then comes into the present, even incorporating reality TV. It's funny how some evils never change. If you like surprise endings, you’ll like The Threshold. A quaint elderly lady named Mrs. Poole and an infamous creepy house at the end of the street set the scene. A note appears to float down from that house and.. well, I can’t tell you the entire story. 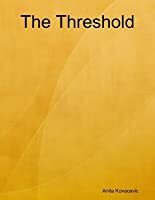 The Threshold is an interesting read that delivers a message along with the story. A quickly read, engaging story. Questions, questions, questions! Where is this story heading? Finally the plot is exposed and I was engaged. Didn't put the book down until I had the answer...which strangely, was predictable - although not disappointing. Recommended it for readers like myself- who don't like sci-fi or horror but enjoy a good well written, yarn.